Upper Arlington south of Lane 2 bedroom apartment! 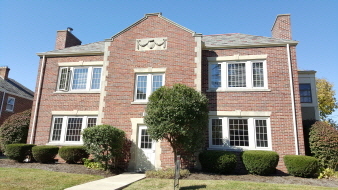 Upper Arlington south of Lane 2 bedroom apartment! Walk to shops and restaurants in the Mallway District! Remodeled kitchen and bathroom, beautiful hardwood floors and woodwork, central air, Florida room, w/d hookups, dishwasher, stainless steel appliances, garage (1 spot), replacement windows. Cats welcome but dogs not permitted. Non smoking. $1300/month, tenant responsible for gas, water, plus flat fee of $22/month for water/sewer. 1970 Suffolk Rd. Call or email RZ Realty 614-486-7800.